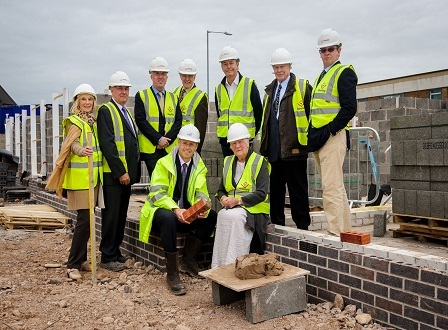 The wheels are rolling on the creation of the new £5.5 million bus depot for mid and south Warwickshire. 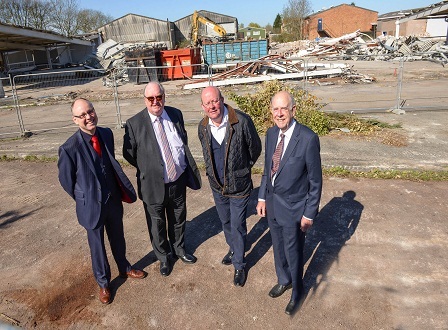 Warwick-based developer AC Lloyd and project managers Minns Network are creating a new depot and engineering hub for Stagecoach at Trident Park, in Warwick, as part of a major redevelopment plan in the district. 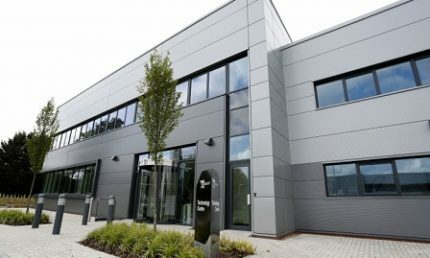 The company is currently based at Station Approach near the town centre of Leamington but is relocating from this site as part of a comprehensive redevelopment of the land for housing, the majority of which will be available for rent or shared ownership through Waterloo Housing Association. 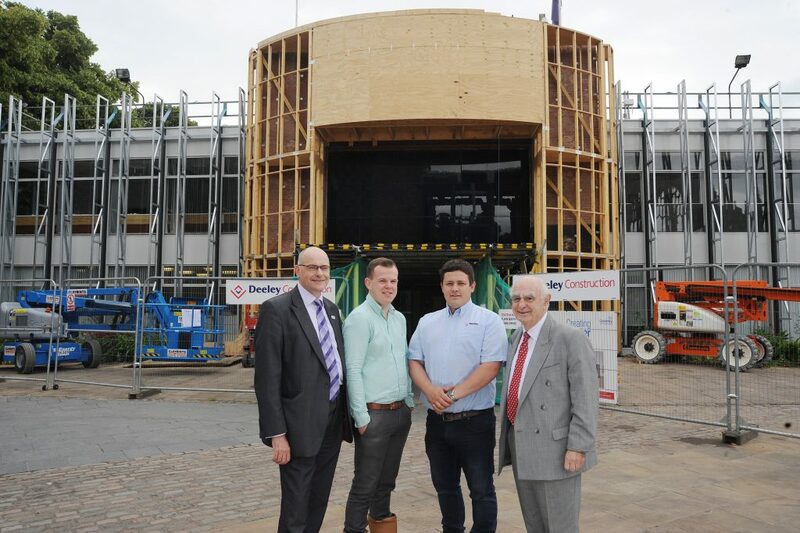 Work on the depot will be completed in April 2017 and it will include six mechanical maintenance pits, two areas to allow buses to be elevated for repair and inspection, an engineering office, a bus wash and parking for more than 75 vehicles. 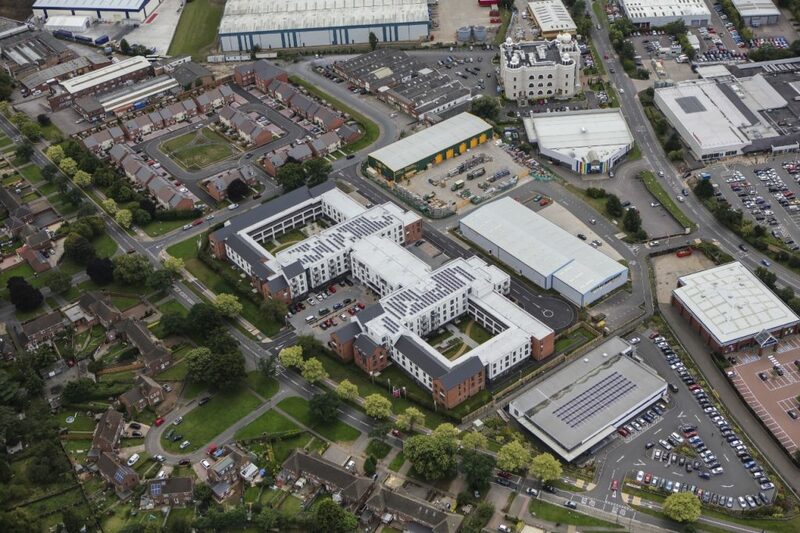 Des Wynne, of AC Lloyd, said the new development would be a double improvement for the region. 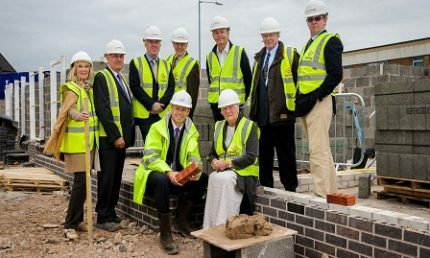 “Station Approach will see the creation of much-needed affordable homes in a really convenient location close to the railway station and in turn has given Stagecoach the opportunity to create a state-of-the- art depot in Trident Park from where they will run their local operations,” he said. 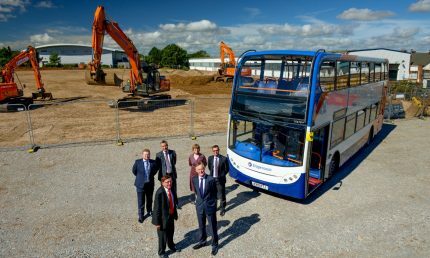 Stagecoach will have 165 people working out of the new depot, with buses and coaches operating from there across the area and into Coventry. 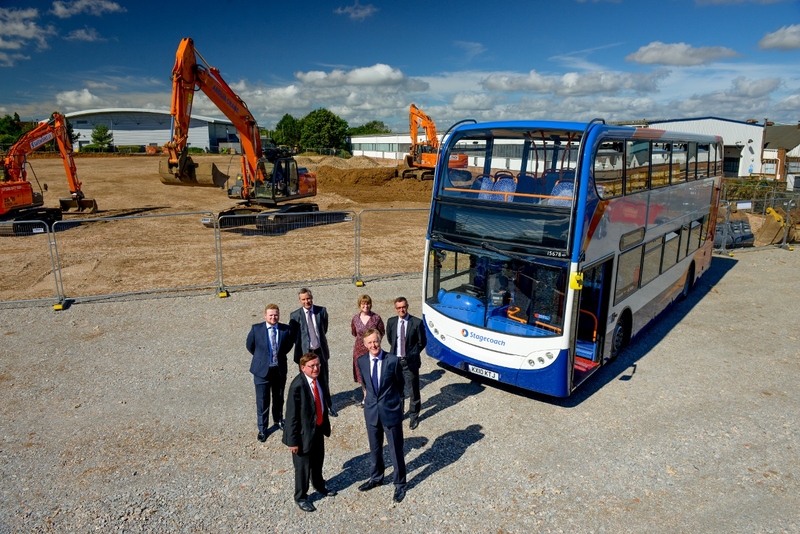 Steve Burd, Managing Director for Stagecoach Midlands, added: “”Bus services operated from the depot will cover South Warwickshire and run as far as Coventry in the North , Stratford in the South, Evesham in the West and Southam in the East .Our initial fleet will consist of 27 double decks , 26 single decks and 14 Gold standard minibuses. 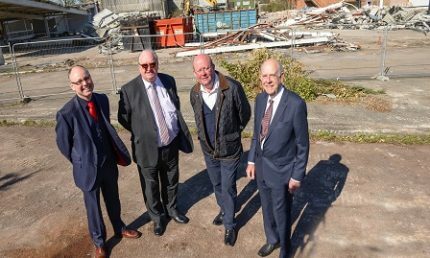 A £5 million deal has been agreed to build 143 affordable homes on the former Soans Garage premises in south east Leamington Spa. 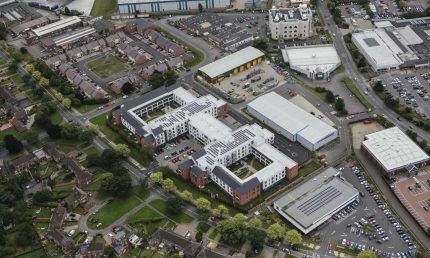 The seven-acre site next to the Grand Union canal and Sydenham Drive has been sold by Wareing & Company’s client CHS Properties to a joint venture between Orbit Housing and Deeley Properties, following delayed planning consent from Warwick District Council. 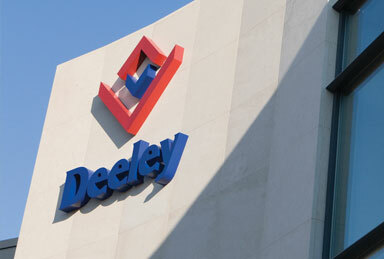 Pat Moroney, of Deeley Properties: “We are very pleased this is progressing so well. 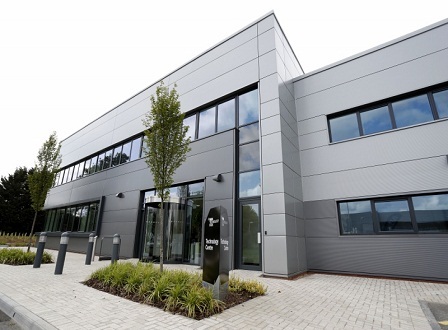 We gained permission on appeal and are delighted that the deal means that work can start. 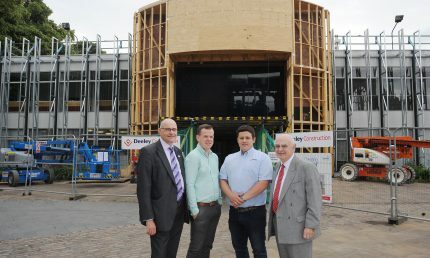 From left to right: Anthony Holt (Orbit), Pat Moroney (Deeley Group), Bill Wareing (Wareing & Compnay), Richard Soans.